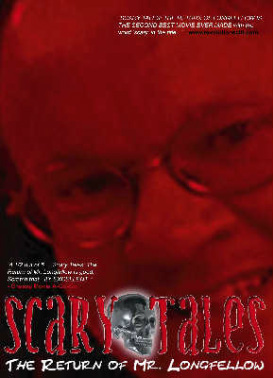 A sequel to the 2000 anthology horror film 'Scary Tales'. PLOT: After the events in the first Scary Tales movie, Mr Longfellow (Joel D. Wynkoop) has moved on from his bogus job placement agency to a new venture, to allow him to tell his fantastical tales. Welcome to "Mr. Longfellow's Used Car Lot". In "Charlie's Demons", a group of teens attends a remote cabin for a group therapy session with Dr. Wesley King. The cabin owner, Charlie, isn't too fussed about having people round his place and decides to persuade them to leave. With his axe. 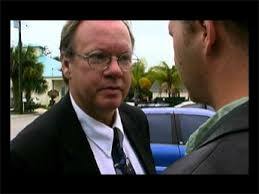 A return of a familiar face in "Dennis Frye Vs. The Zombies". The jobless loser from the first installment of Scary Tales takes on his high school nemesis and his gang of bozos. "Scary Tales: The Return of Mr. Longfellow" Trailer... from Michael A. Hoffman on Vimeo. Purchasing: In 2005 the film was released on DVD. It was a part of a double feature set. This set included both 'Scary Tales' instalments (parts 1 & 2). It was released through 'Disruptive Media' but the company has since disbanded. The DVD's of this film are extremely rare, so if you are interested you will have to search via collectors or auction sites.